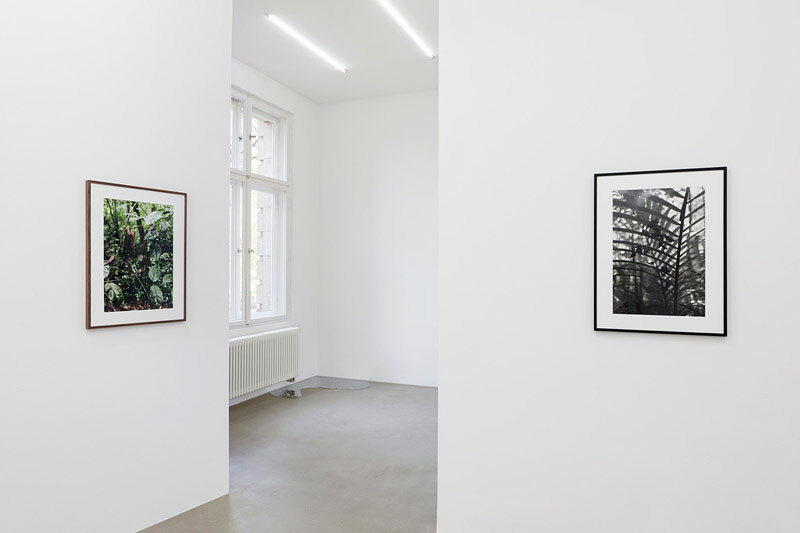 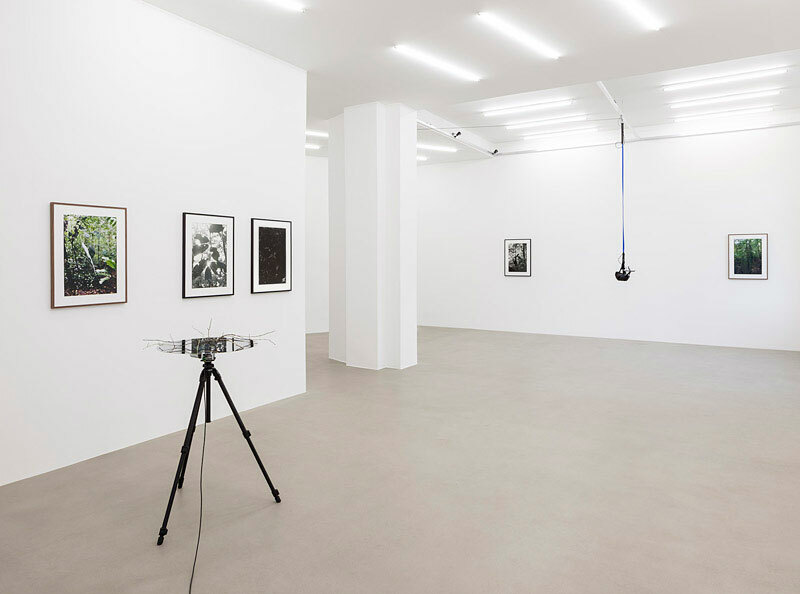 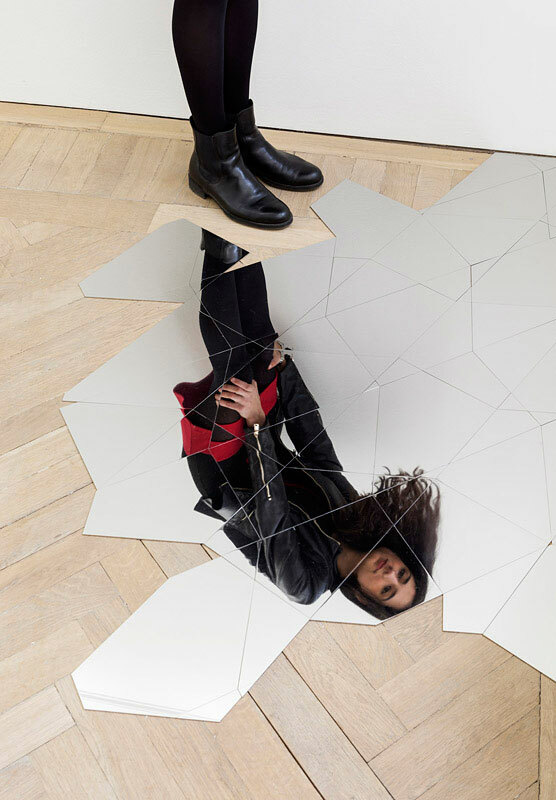 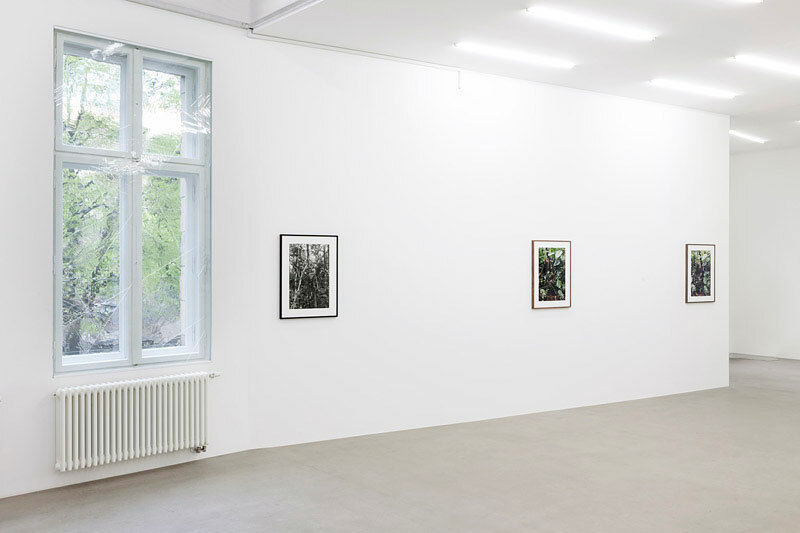 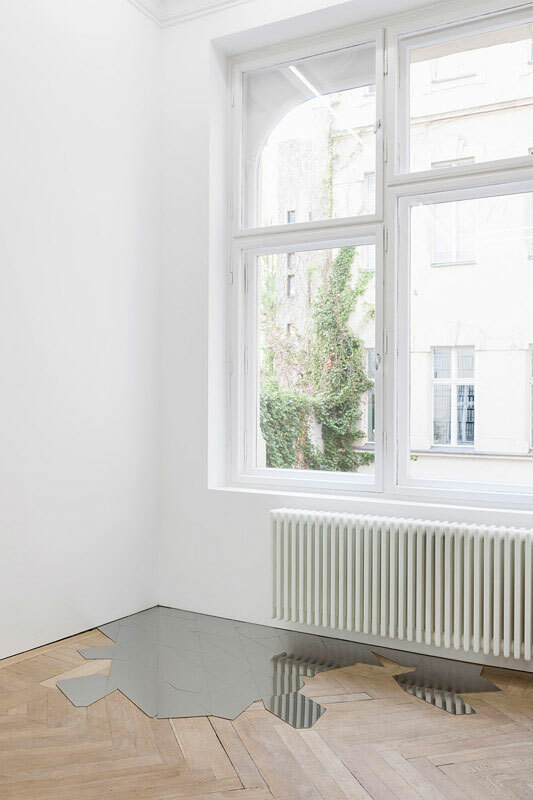 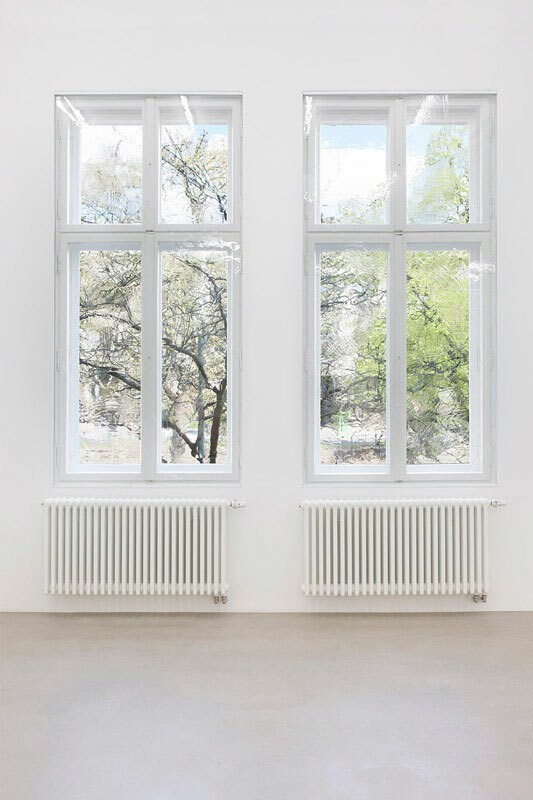 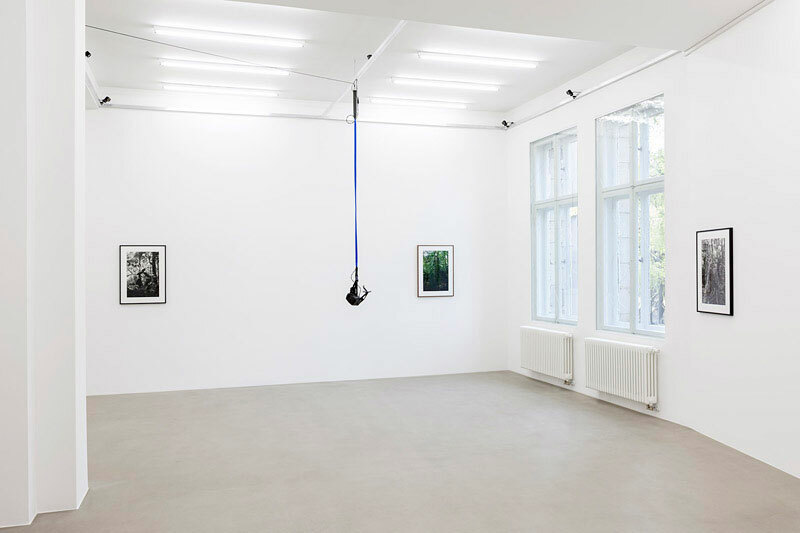 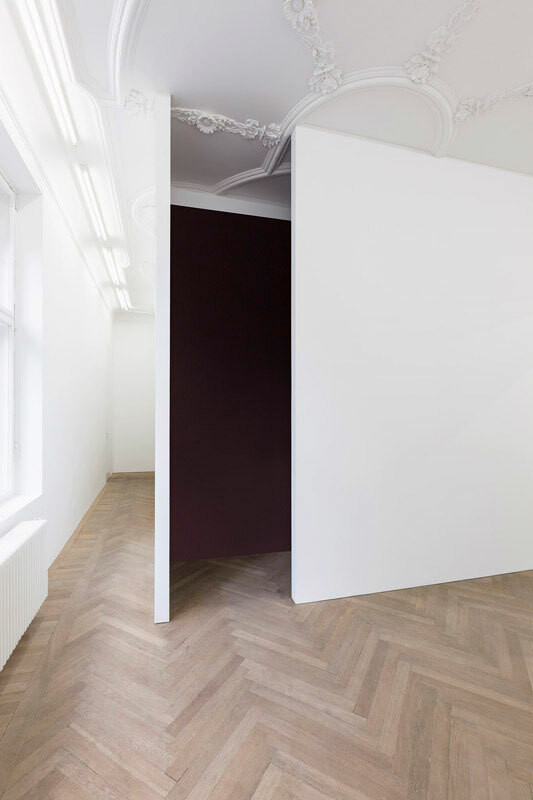 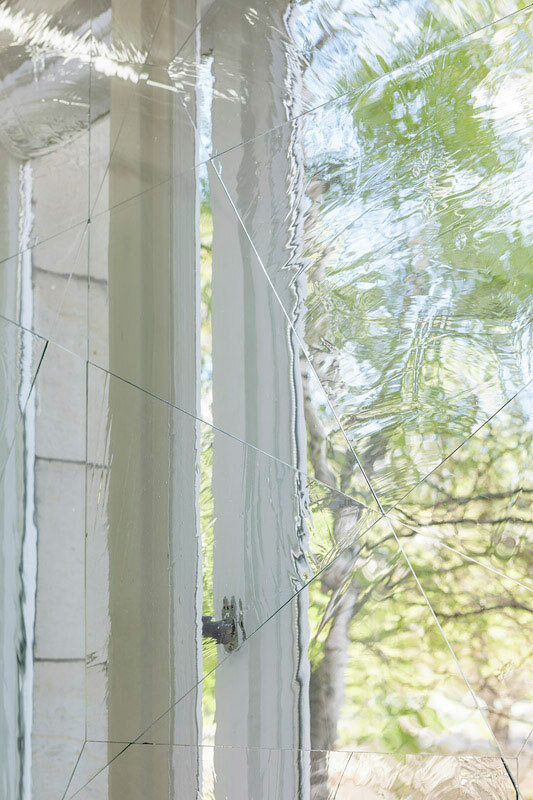 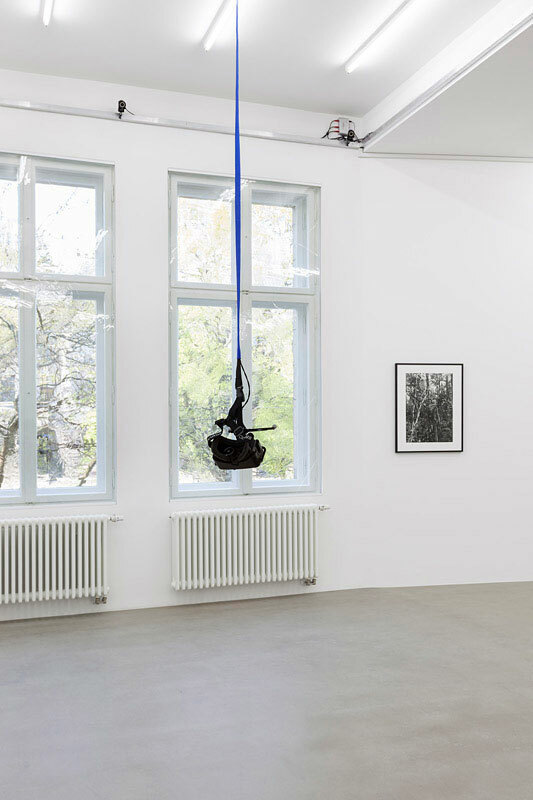 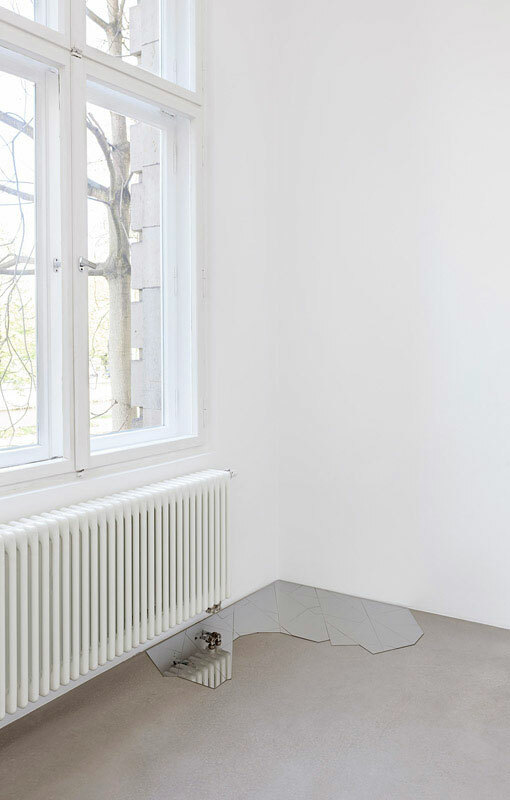 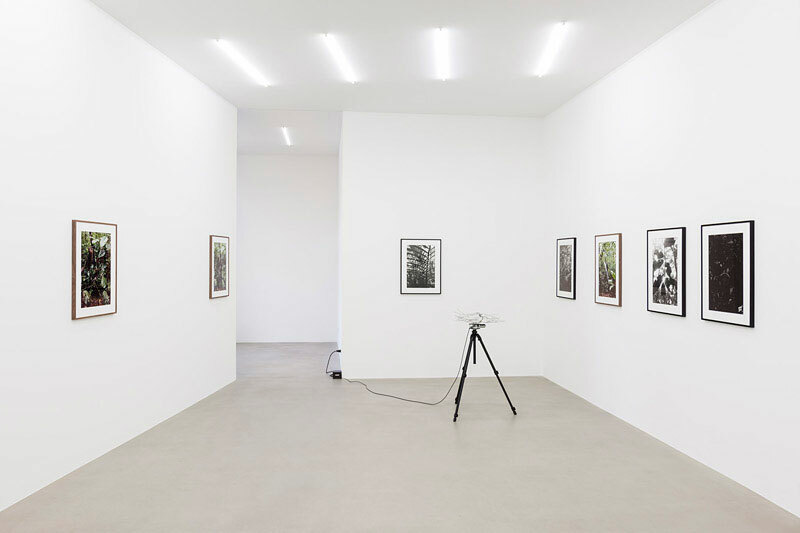 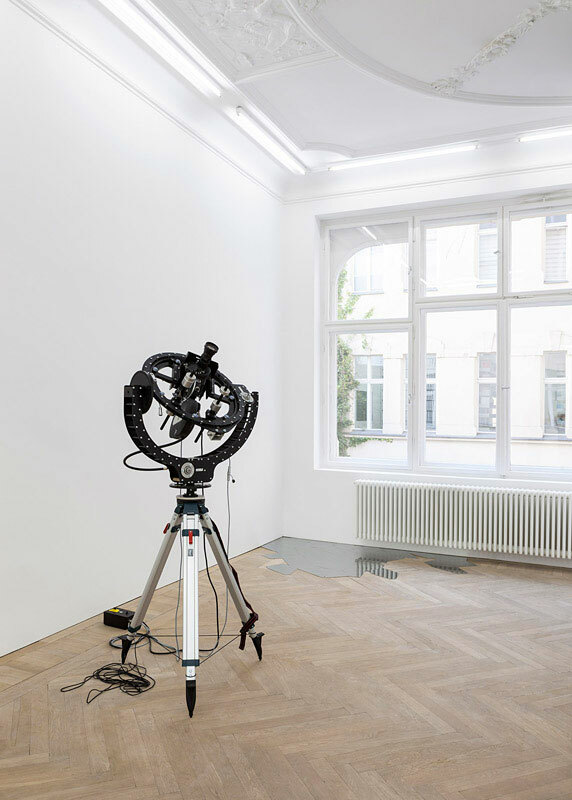 Esther Schipper is pleased to present Daniel Steegmann Mangrané’s first solo exhibition with the gallery. 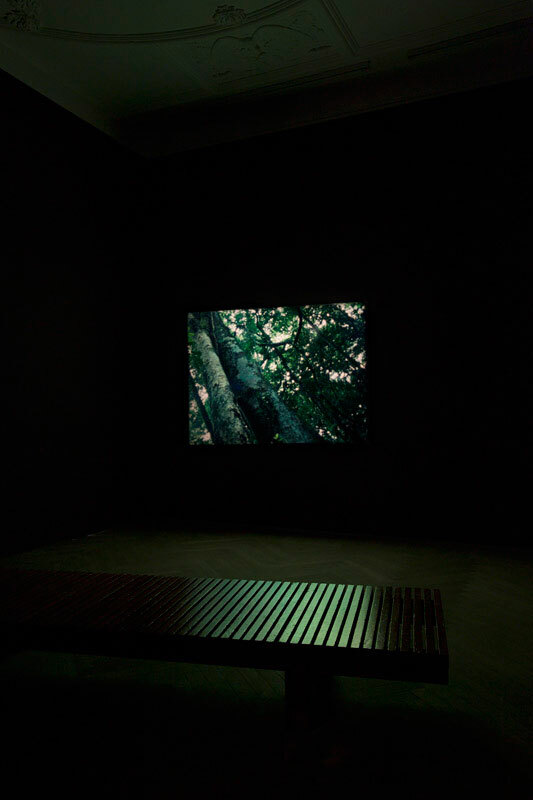 Entitled Spiral Forest (kingdom of all the animals and all the beasts is my name), the exhibition includes Steegmann Mangrané’s newest film Spiral Forest, an immersive 3-D environment with the title Phantom, as well as a series of photographs that all take as point of departure the same location in the Mata Atlântica rainforest in Brazil, a densely leafed underbrush near the trunk of a giant tree. 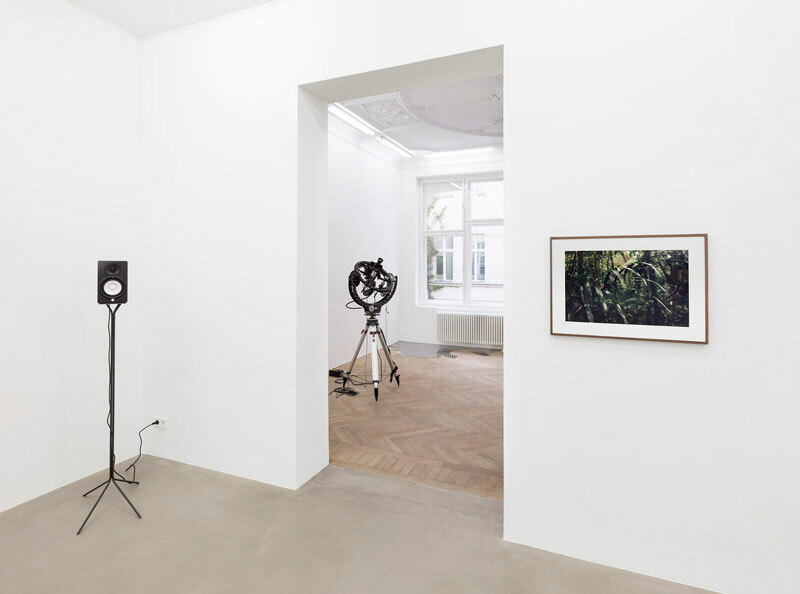 Spiral Forest (kingdom of all the animals and all the beasts is my name) was shot with a custombuilt camera that can film while rotating 360° in any axis. 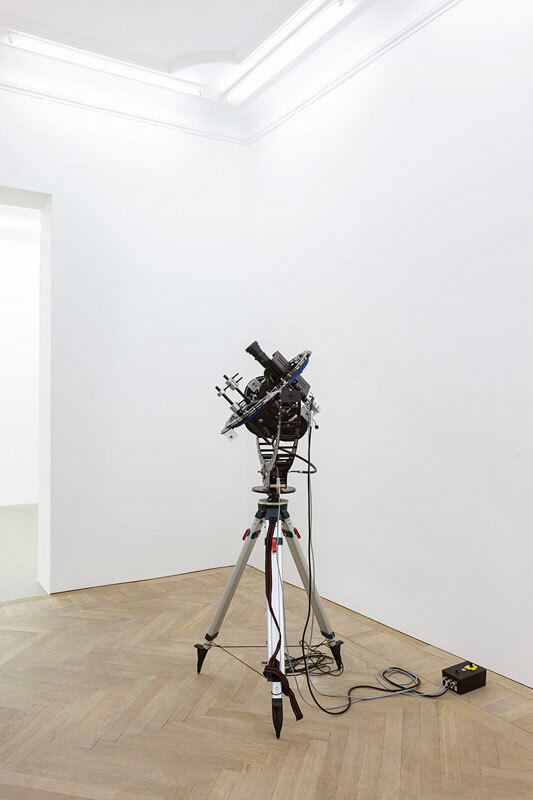 The camera’s motor both transported the film and powered its rotations. 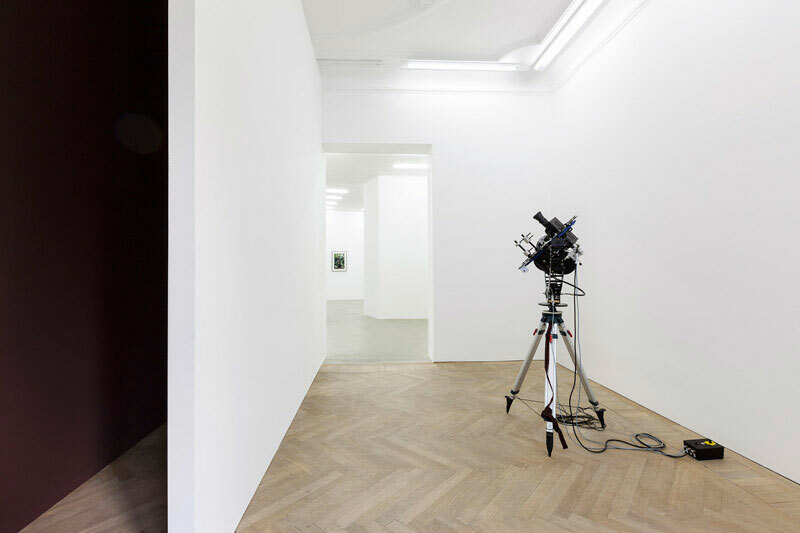 The camera changed orientation at irregular intervals (according to a score pre-determined by the artist), every time shooting at a new angle. 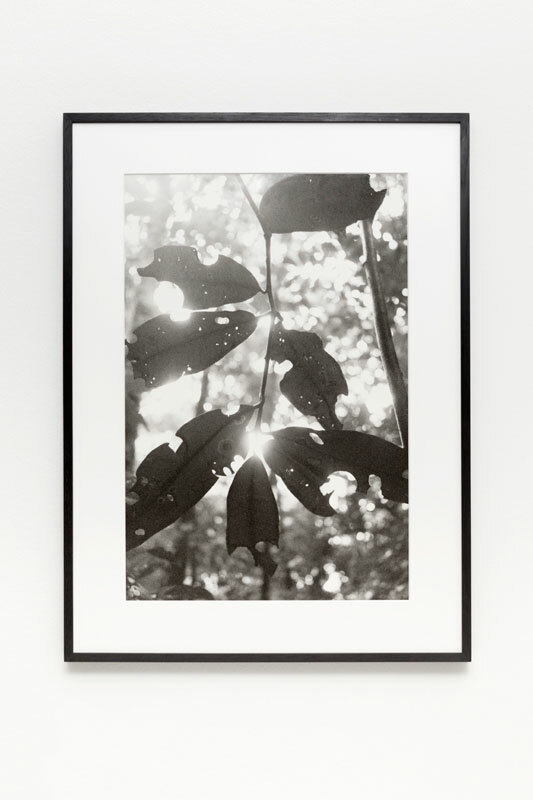 Viewed in an otherwise dark room and submitting to the disorienting effect created by the abrupt shifts in perspective, one begins to see the landscape for its particular elements, abstracted from the familiarity as leaf, branch or tree. 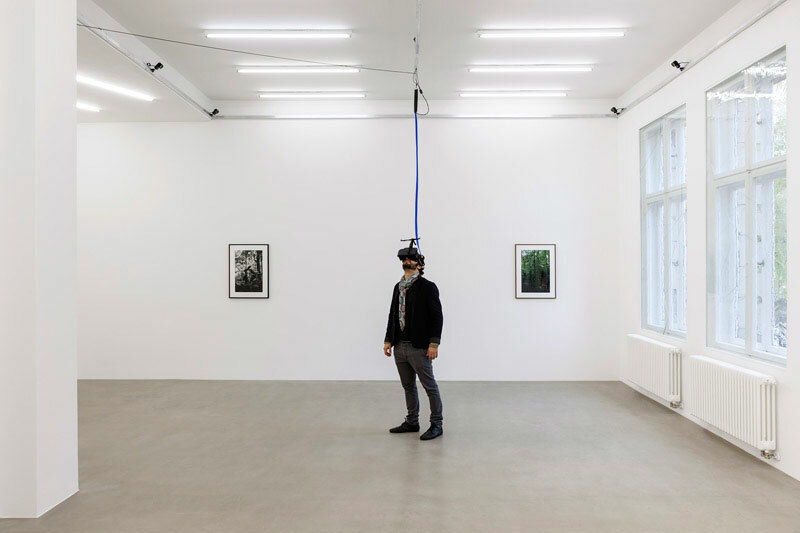 Phantom (kingdom of all the animals and all the beasts is my name) is an immersive virtual environment experienced with a so-called Oculus Rift headset. 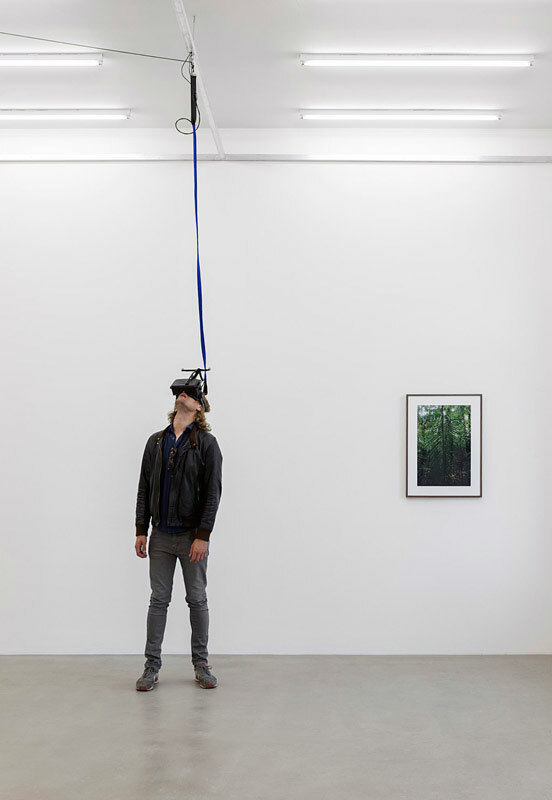 The headset is suspended from the center of an area approximately 580 by 408 cm. 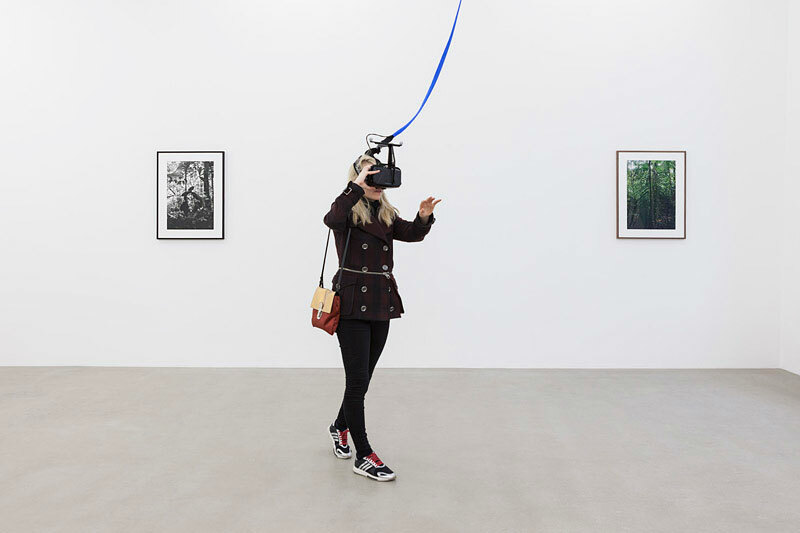 Once the headset is put on, the spectator is immediately transported to an apparently infinite rainforest represented as outlines of delicate shimmering dots. 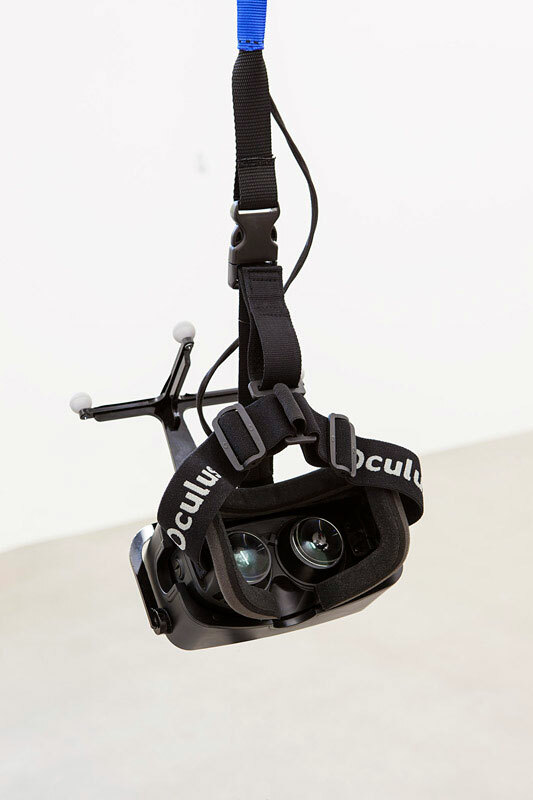 Because the headset’s movements are tracked, each real-life movement has its equivalent effect inside the virtual representation. 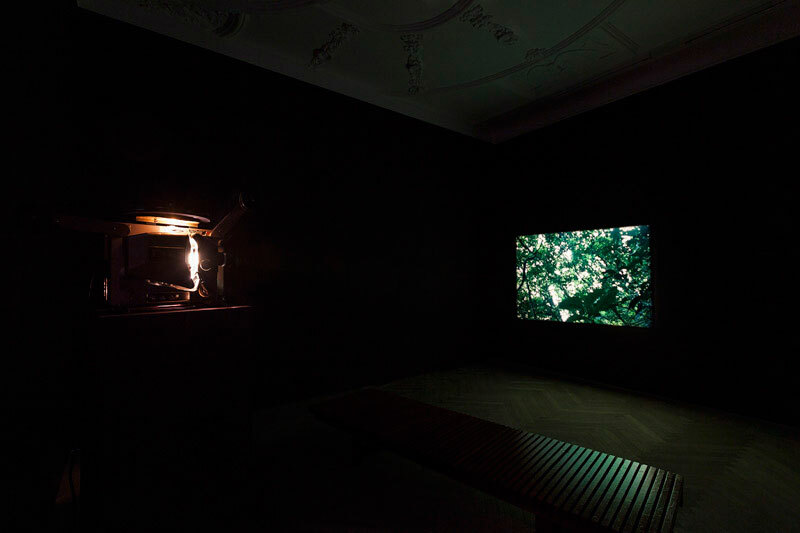 By imposing a constantly shifting orientation of the image, Spiral Forest evokes a vivid physical experience but at the same time its strictures continue to remind the spectator of the separation between gaze and corporeal being. 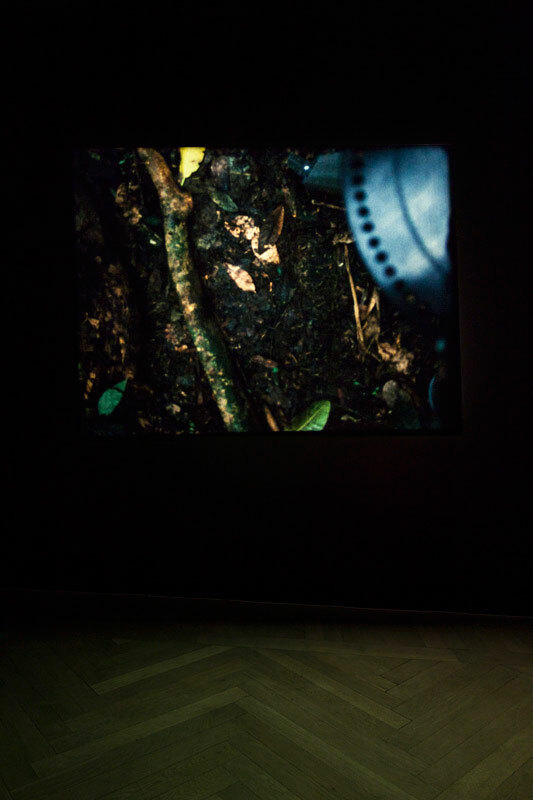 In an inversion of the relationship between viewer and image encountered in the analog film, Phantom shows a static virtual 3-D world that spectators can explore by moving around themselves. 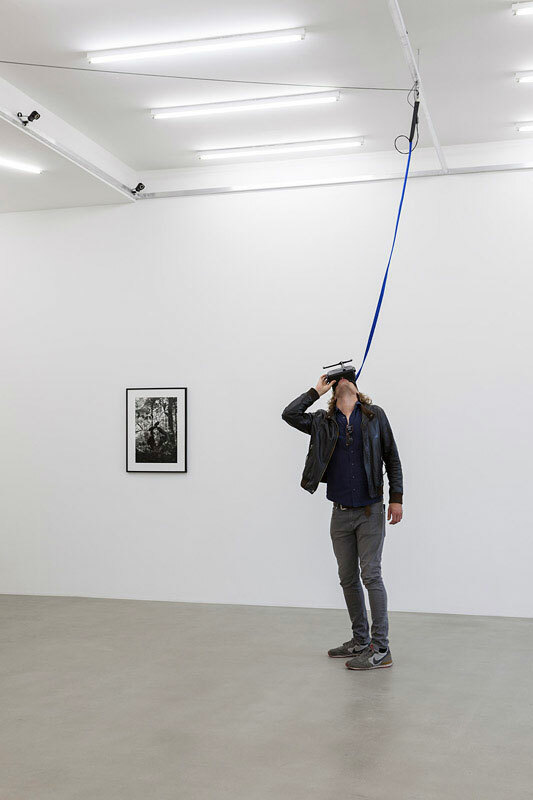 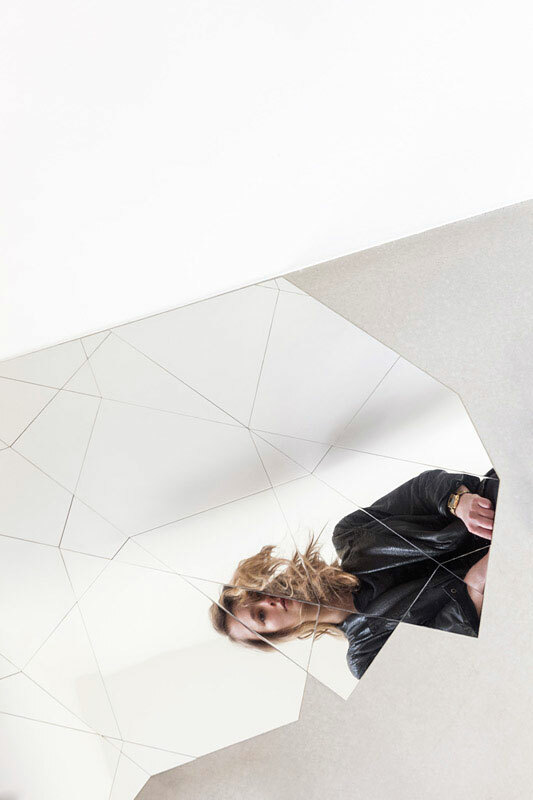 In addition, its installation in an otherwise empty room highlights the performative aspect of the work, as the single spectator exploring the virtual world in isolation is put on display for other visitors to the exhibition space. 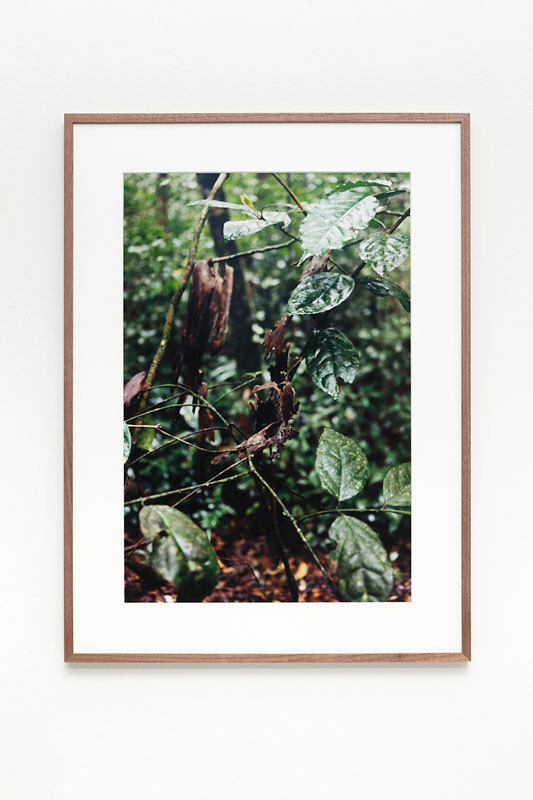 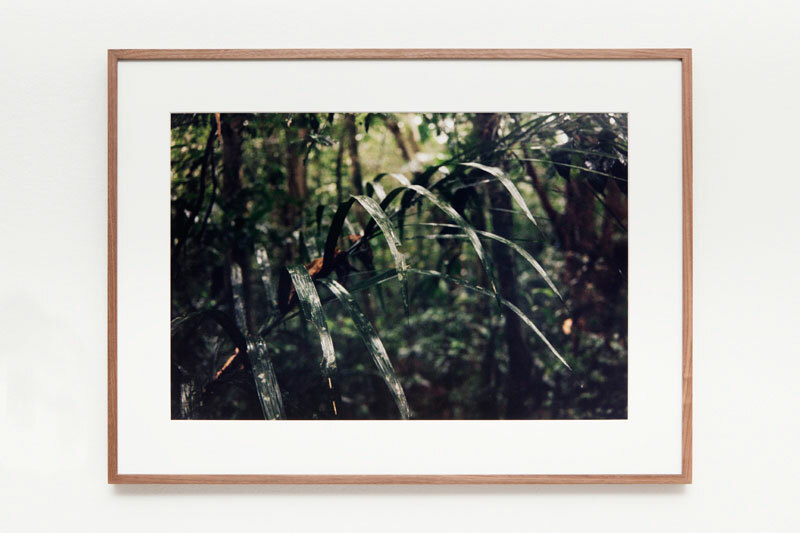 A series of eleven photographs shot with an analog 35 mm camera in the same location where both Phantom and Spiral Forest were created focus on details of growth and decay: wilting leaves and parts of bark that have fallen but are caught in the dense thicket, not reaching the ground. 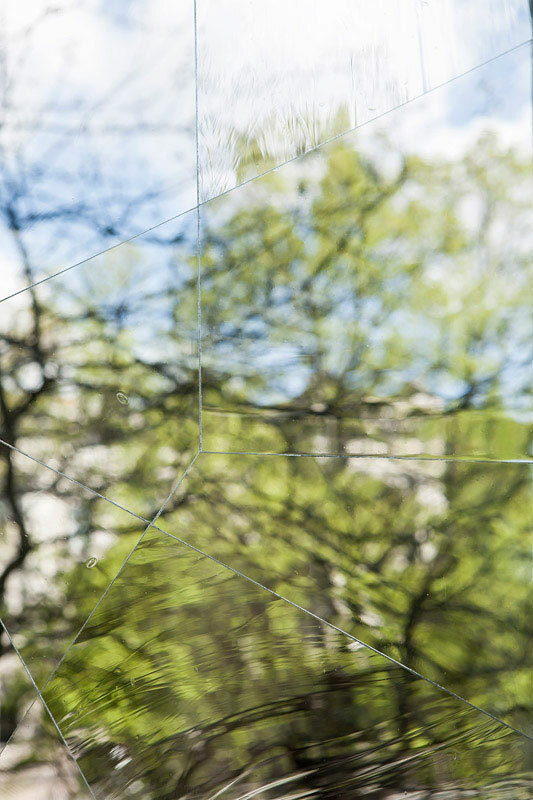 Two windows with a geometric pattern in which some sections are filled with clear, others with distorting glass, create a formal filter, blurring sections of the outside world. 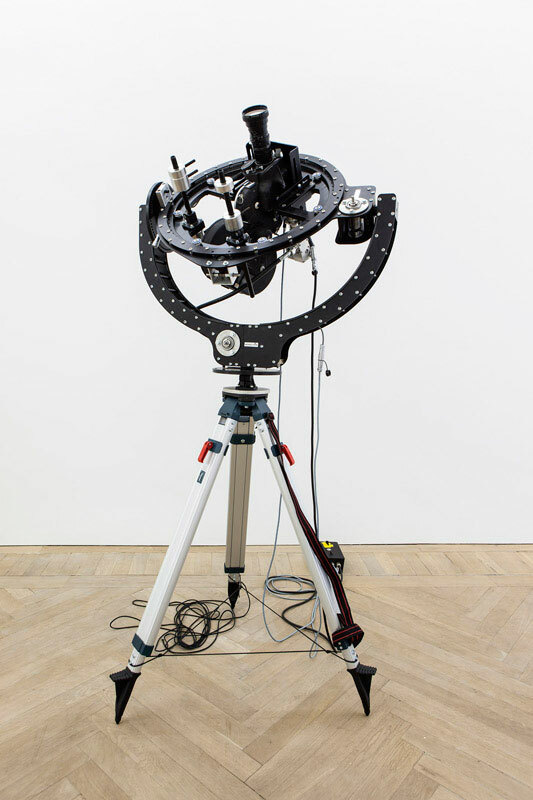 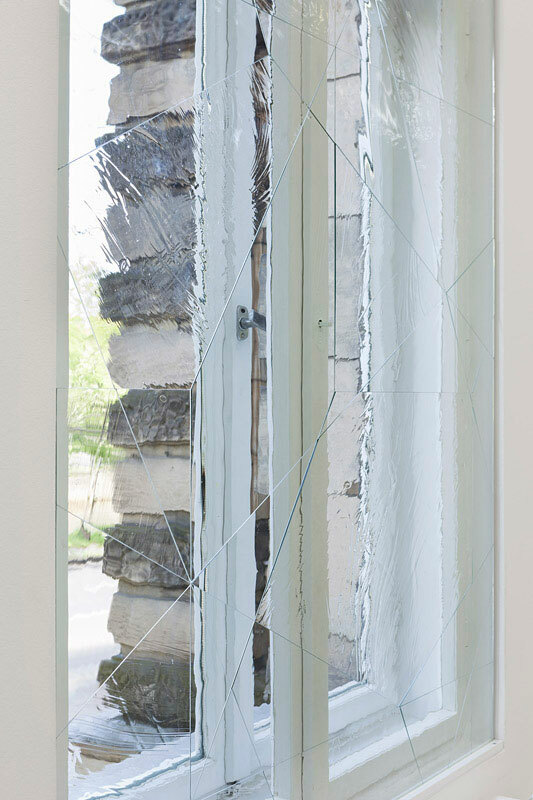 The artist has also produced two sculptures with horizontal mirrored disc affixed to a tripod. 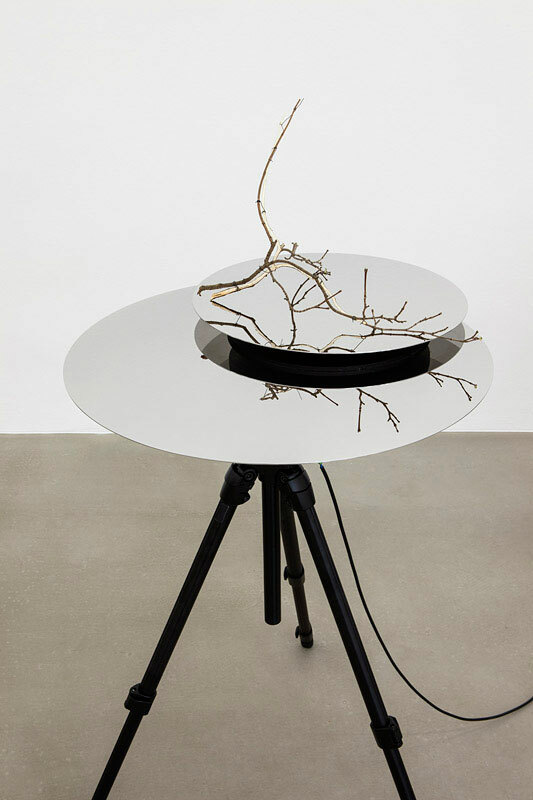 A delicately split branch on the slowly spinning disc is reflected in the high gloss of its surface. 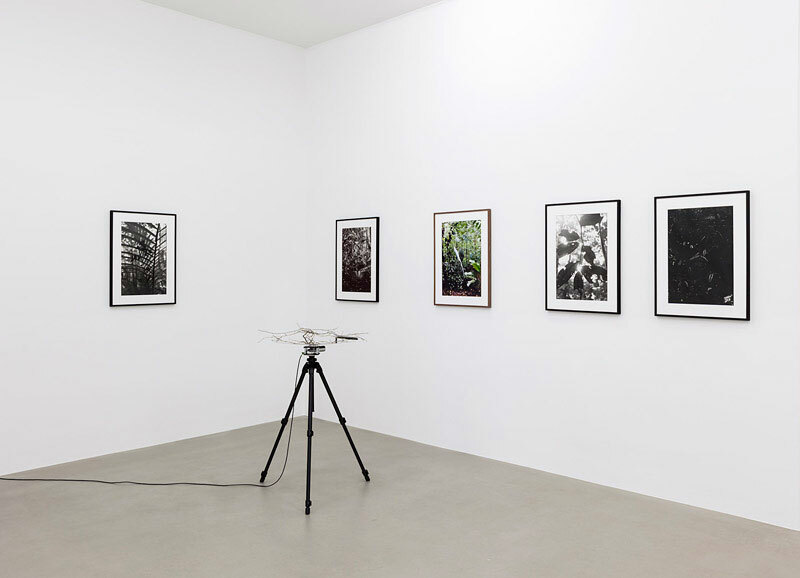 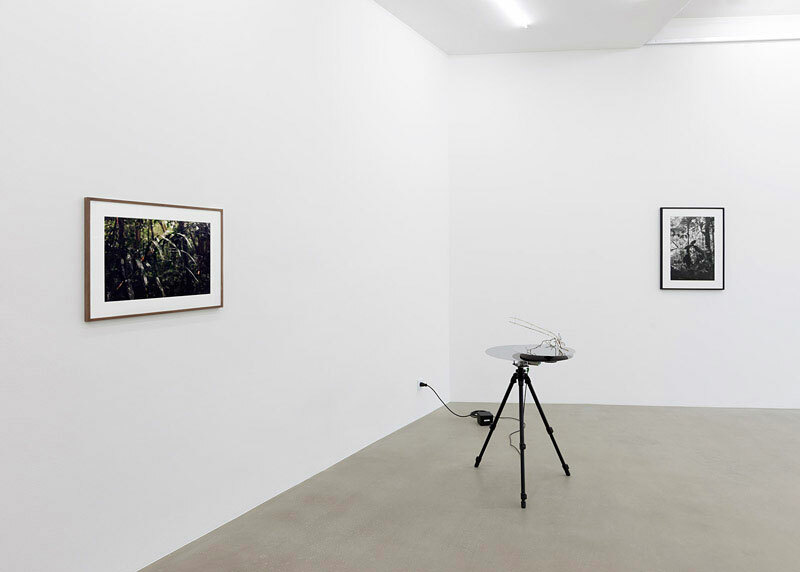 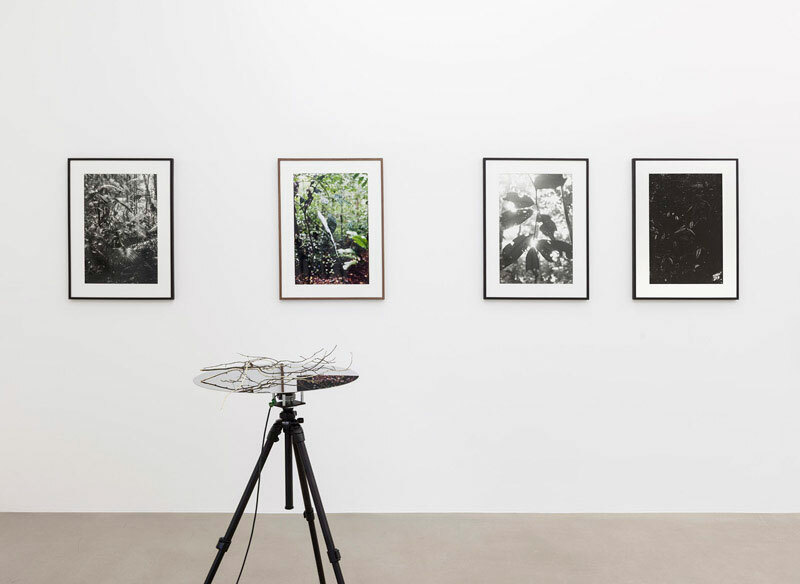 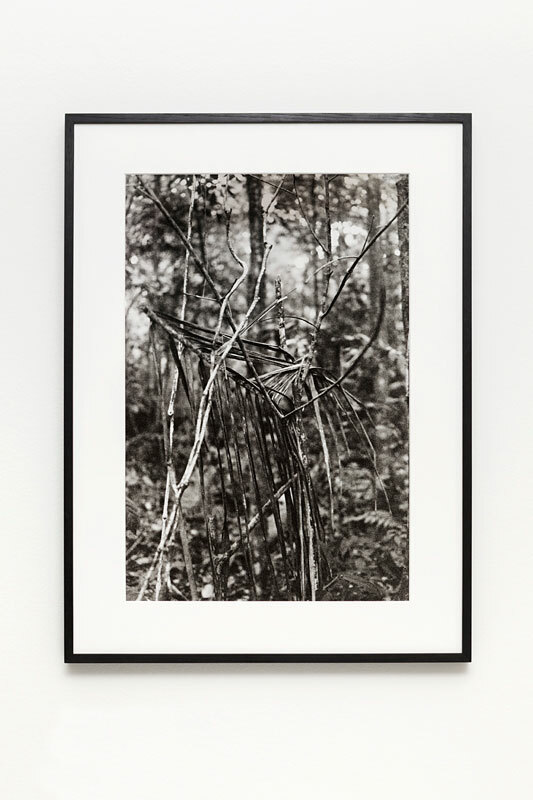 These works combine technical, mechanical and organic components, bringing together major concerns of the artist: film and photography, scientific inquiry (as part of a colonizing epistemological impulse, represented by an emphasis on classification), and the blurring of distinctions between categories of the organic and geometric.